I'm sitting here on the computer and watching weather reports. Nothing much has changed in the last few hours. We've got a CAT 4 hurricane barreling down on us. I've ridden out plenty of storms over the years, but this one bears watching closely. I'm trying to decide if I should evacuate or stay put. That's made me wonder about years ago when there was no early warning system for these storms. Today we figure if we've lost power for a few hours that it's terrible. The last hurricane through here took my power out for 13+ days. UGH! there was the Great Hurricane of 1780. They didn't name them back then as they do now. 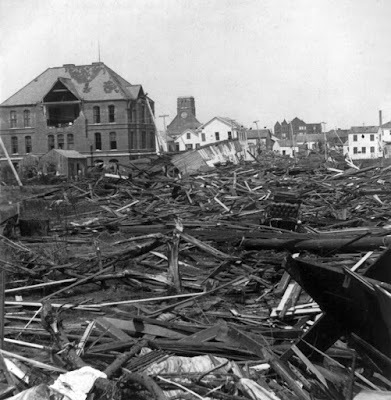 And there were no storm trackers, but we do know that as many as 27,000 people lost their lives. It destroyed many of the islands before wandering up the east coast to Canada. Yes, Florence worries me. I'm a chicken. I don't care if I don't have electricity, well actually I do care, but I know I can manage. I've done it before and I can do it again. I'm a pretty good camper. But I'm not fond of real damage. I don't want my roof ripped off or that tree in my neighbor's yard to fall on my house. But in a way, I'm lucky. I know what is coming and what I must do. Can you imagine Texans being hit with a hurricane that they weren't expecting? Or living on the Plains and seeing a funnel cloud bearing down on your barn? Or even living in what is now California and having the earth move under your feet? What about those folks who crossed the ocean in tall-masted sailing ships. Did those captains have any idea what was on the horizon and headed to them? It must have been very scary. Can you imagine not knowing what was happening? It's not that we have learned to control nature, but in so many cases, we have warnings. We know and we understand. I have a friend who has a son and daughter-in-law living in the Caribbean. Their island got hit hard last year. They are still cleaning up! Maybe it doesn't look like it to the average visitor but repairs are still being made. Houston and New Orleans didn't return to normal a week later. I wonder what our local Indians once thought when a hurricane descended on them. What did those first settlers at Jamestown, Virginia think? It must have been scary. Did they think that the world was ending? They weren't worried about losing electricity because it didn't exist. Knowing what is coming helps, but it won't stop the destruction. Mother Nature is not very nice. She never was nor will she ever be. I doubt we'll ever learn to tame her. But as I begin to prepare for this storm, I wonder what the people who lived in my house, so very long ago, did when the high winds and rain pounded down on the small town built by the river. I'm not going to take unnecessary chances. I'm a super-sized chicken with a big yellow stripe down my back. When it comes to fight or flight, I'm flight. This house has withstood so very many storms in its 170 or more years. A Cat 3 or a Cat 4? This old house might be facing this storm without me. Maybe the weirdest thing about this storm is that I just finished writing a contemporary romance that deals with a beach home and a Category 3 hurricane that is upgraded to a 4. In the story, the hero loses his house. Maybe that's why I'm a bit freaked this time. Not really. I've lived in the area for years and never have I seen a really bad hit, other than Floyd, and that was flooding. Isabel sent a tree down on my car and totaled it. Aside from that, all damage has been minor. But I've not seen a Cat 4 or Cat 3 rumble over my house. I don't think I want to see it. What if we didn't know? What if we weren't prepared? What if the family had to climb on the buckboard in the pouring rain with hopes of reaching higher ground? What if...? Labels: 1900 Galveston Hurricane, evacuate, Hurricane Florence, Weather, weathering the storm, What if? What ifs are as fun, because they open all sorts of plot ideas as we write our stories. Now in real life... That's a different situation, for me anyway. I get in a What if mind-set and I drive myself into fits of useless worry. I'm land-locked here in southeastern Colorado, so I've never been around hurricanes, just plenty of tornadoes, massive dust storms, and blizzards. I think I'll take my nasty weather over hurricane. Hurricanes are so powerful and they like to stick around way too long for my tastes in weather. Hope you're snug as a bug in a rug wherever you're waiting out Florence. Excellent points, Elizabeth. Not knowing would be much more hazardous. I'm a super chicken, too. We have tornadoes where I live in North Central Texas, and those are scary. Nothing like a Cat 4 hurricane, though. Hope you are safe! My daughter lived through Hurricane Floyd when attending East Carolina University. We worried sick about her, but she came through it fine. But there was terrible flooding from the Tar River. I am so glad she decided to moved home to texas after finishing her masters degree. If I were you, Elizabeth, I'd get out while the gettin's good. Elizabeth, I hope you, your family and home come thru Florence safely. I've experience floods, earthquakes and, most recently, firestorms that devastated my town. Even knowing what's coming does little to reduce the terror.